The University of Mississippi’s School of Applied Sciences and the Department of Nutrition & Hospitality Management are pleased to announce the recent accreditation decisions of the Accreditation Council for Education in Nutrition and Dietetics (ACEND). This recent decision confirmed full reaccreditation of the Bachelor of Science in Dietetics and Nutrition and the initial full accreditation of the Coordinated Program (CP) in Dietetics and Nutrition after several years of candidacy. This accreditation will run through 2022. The undergraduate program is a four-year didactic program, which culminates in a B.S. degree. The Coordinated Program (CP) serves as the supervised practice component of the Master of Science in Food and Nutrition Services. Its mission is to prepare nutrition professionals by combining graduate courses with supervised practice experience, offering diverse exposure in education, research, and practice to its students. Students who complete the coordinated program become eligible to take the national registration examination administered by the Commission of Dietetic Registration. Successful completion of the examination will allow graduates to meet the requirements to become and practice as Registered Dietitians. These recent accreditations come as a result of the efforts of many dedicated faculty and program administrators. This now provides a strong foundation for the implementation of a doctoral degree program in Nutrition and Hospitality that was approved by the IHL this past spring. 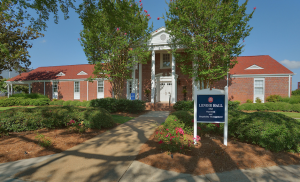 For more information on the Dietetics and Nutrition programs at UM, visit the Nutrition and Hospitality Management website at http://www.nhm.olemiss.edu.